reputable fish market and impress your friends! Poor over tuna and mix. Add chives and gently combine tuna with diced avocado, refrigerate until ready to serve. Add panko crumbs just before serving and top with sesame seeds. what does 'sushi grade' mean? can i buy sushi grade at my local whole foods? I'd like to make this gluten free – do you think I could leave out the Panko? How long can something like this sit out? Love your site! Is it rice wine? Is that in wine aisle? Making this for book club! Can't wait to try it at home have had similar dishes out. Gina, these look great! I'm a big fan of tuna, and these look like simple (delicious) little snacks. Definitely would make good appetizers. I'm going to make this over lettuce with a bit of eel sauce and make a nice tuna salad! Another awesome recipe – thanks! I doubled this, added some wasabi powder, and served with jasmine rice for an entree! Had to add a little bit of fat free chicken broth to stretch the marinade. I also tried using a slimcado for the first time, have you heard of those? It's a natural type of avocado grown in Florida that has about half the WW points of a regular avocado. Definitely does not have as much of a nutty taste as a regular avocado when eaten alone, but mixed into the tartare you really don't notice it and it has the same creamy texture. Wow, this recipe looks delicious! I absolutely love this website because of all the healthy options. I tried a baked stuffed chicken recipe last night and my boyfriend loved it, which is great, because usually he is not a fan of my cooking! I can't wait to make this!!! Thanks again. 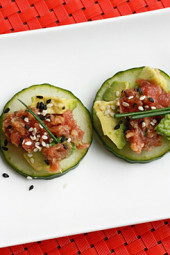 I LOVE tuna and really want to try this, but do not like cucumbers. Any ideas on something else to put it on, but still keep it healthy? Thanks! This is one of my favorites!!! This is MY kind of appetizer! Made this for folks coming to watch Bears-Packers game over weekend. Not "typical" football food but it was the first dish to go. Great flavor and a terrific points plus "value." YUM! I fixed a half recipe (totally awesome recipe, BTW) and did a Bento Box meal for myself and a gal at work. Pretty little heart shaped carrots, tulip shaped jicama, scallop-circle celery, butterfly cantaloupe, a radish rose and a strawberry cut and fanned out. Very pretty and a lot of fun to eat. Looks lovely! You always make such elegant looking finger foods! This sounds delicious! 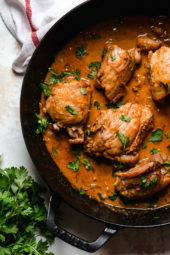 I love finding recipes that I can enjoy but without feeling guilty at the end of the night. I think this sounds like a great Low Fat Recipe. Not to mention that it looks great in presentation. 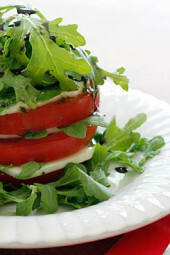 I work with Better Recipes so I am always trying to find recipes that not only taste great but look wonderful. 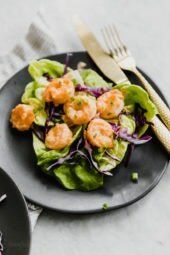 This is a healthy appetizer that people will love. I took a cooking class recently where the chef told us what to look for when choosing sushi grade tuna. Very helpful! @Amanda – I always order this when I go out to eat!! This looks awesome! It's so coincidental that you posted this today–I had a similar dish last night as an appetizer at a restaurant, served with thin baked chips, and it was excellent. Can't wait to try this! One serving size 1/4 of the recipe which is quite a few slices of cucumbers or whatever you serve it on. Is the serving size one cucumber slice? 4 points? Tartare, I think, instead of Tar Tar. 🙂 It looks divine right on the cucumbers. I'd order it at a restaurant! 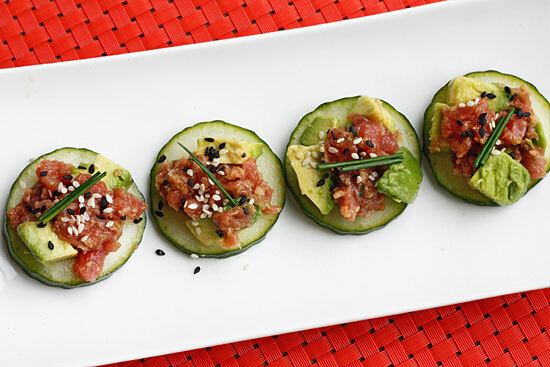 We love avocado, tuna, and all things spicy. This is TOTALLY going to help cure my cravings for fatty, mayo-laden crispy spicy tuna sushi rolls. Thank you so much for sharing, cannot wait to try as soon as I can get my mitts on some cood-quality tuna! Oh my! I can't believe how quickly my mouth started watering when I saw these! We love tuna in our home ~ I'll be making these soon! Ooh delicious! I love tuna tartar and pretty much anything with Sriracha…! Bet it tastes amazing! This is truly lovely and mouth-watering! All I need now is a good fish monger. I also have been perusing your other recipes and am truly inspired. Thanks for sharing and for making weight watchers so gourmet!